An easy recipe for creamy, delicious Thai Peanut Dressing. 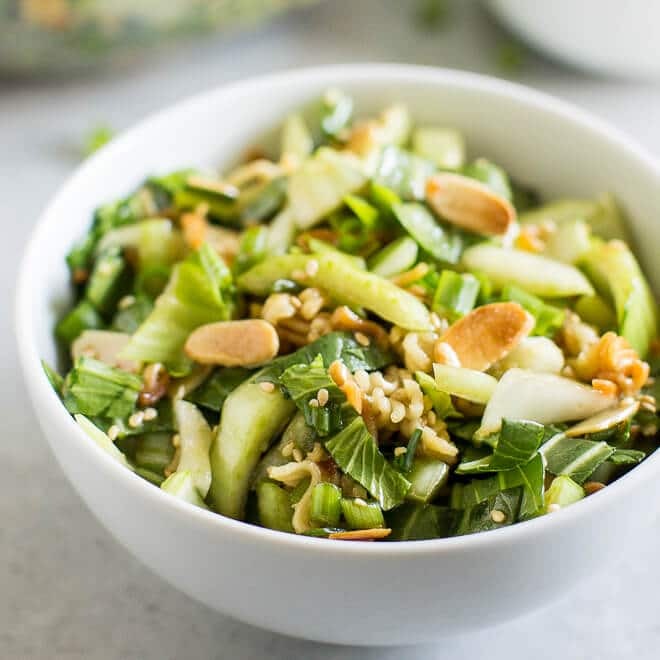 Made from mostly pantry ingredients, this dressing is delicious on salads, grilled chicken, or for dipping your favorite appetizers! 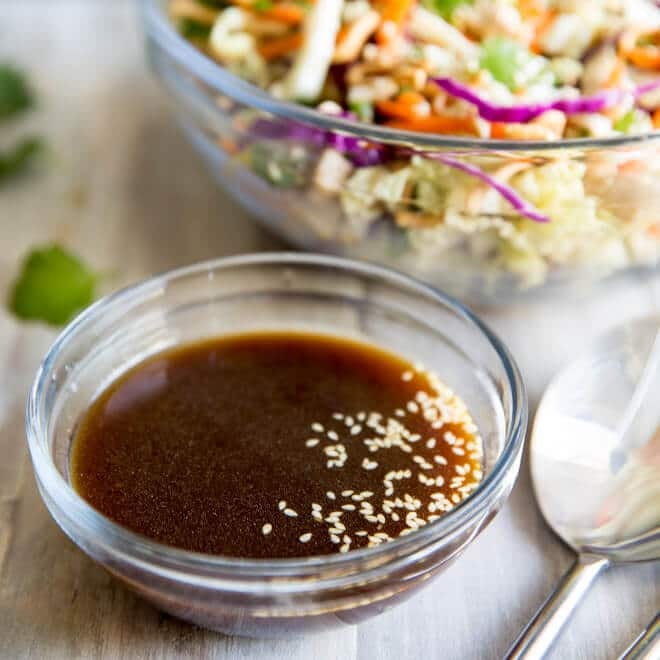 This is a great all-purpose sauce, marinade, and salad dressing. Put it to work any time you want some peanut flavor in your life! 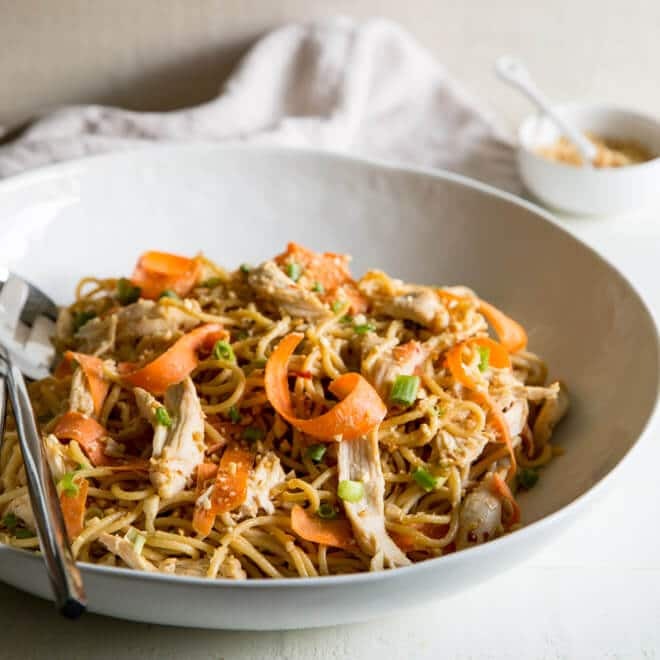 The best part is, it’s made with mostly pantry ingredients so you don’t have to invest in things like Thai bird chiles, fish sauce, hoisin, or anything else uncommon. How do you make Thai Peanut Sauce? It’s as easy as combining everything in a bowl! If the dressing feels too thick, thin it with water until you reach your preferred consistency. To make a spicy Thai peanut dressing, add more red chili flakes to taste. To make this peanut dressing vegan, substitute agave nectar for honey. 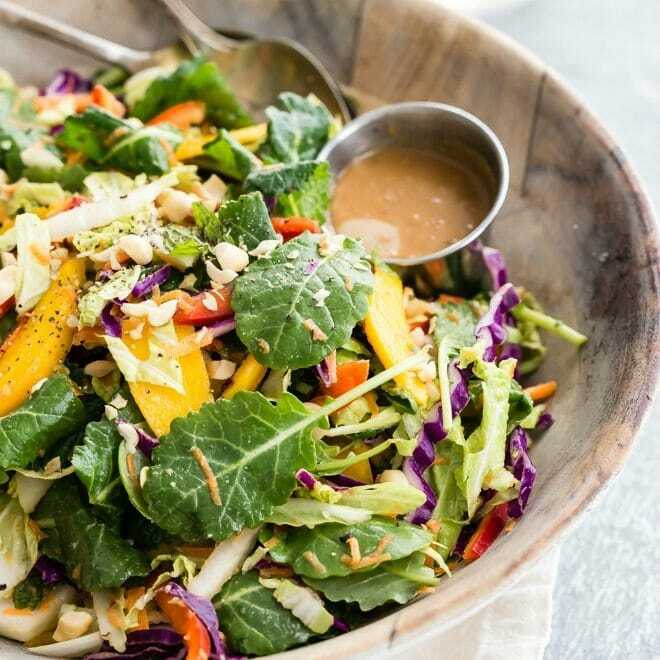 To make a healthy Thai Peanut Dressing, use all-natural peanut butter with no sugar added. You can also reduce the honey or agave nectar. 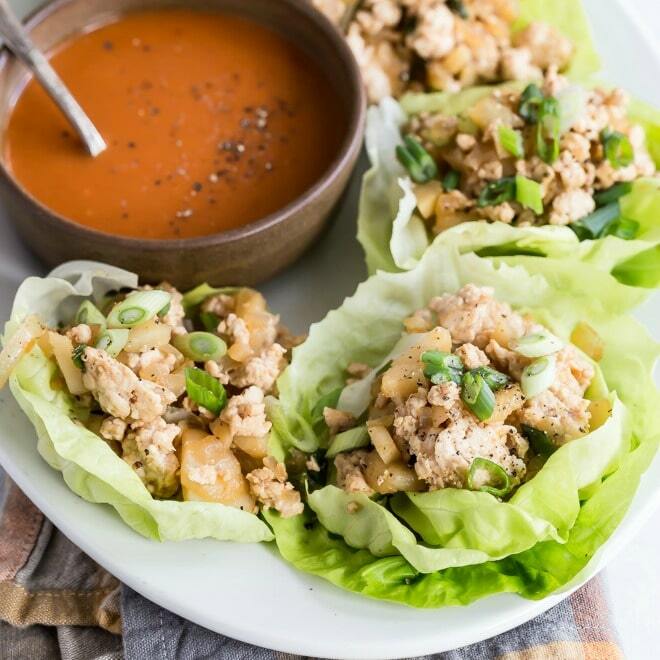 In a small bowl, whisk together peanut butter, rice vinegar, coconut aminos, honey, lime juice, ginger, sesame oil, garlic, and red pepper flakes. If the dressing is thick, thin with water. Season to taste with salt and pepper (I like 1 teaspoon salt and 1/2 teaspoon pepper) and more red chili flakes if desired. To make the dressing vegan, use maple syrup instead of the honey. Adapted from Jessica Gavin. Really really really like this on grilled chicken…great suggestion! I love peanut sauce on chicken satay. How can can the sauce last for once made ? Per official food safety rules, it’s 4 days. But if you feel comfortable keeping in the fridge for a little longer… like a week… you could totally get away with that. But officially, the CDC (and my food safety manager certification) says 4 days. Thanks! Looks DELICIOUS!!! Will make it toon. How much dressing does it make? Just made this for a chicken and broccoli slaw. Absolutely fantastic! How is the ginger prepared before adding to the bowl?